Part of the Arboreal Waters trilogy, a tribute to trees, to the wild, to both plant and animal life. The three fragrances perfectly represent the three portions of the tree: the roots, the trunk and the leaves. 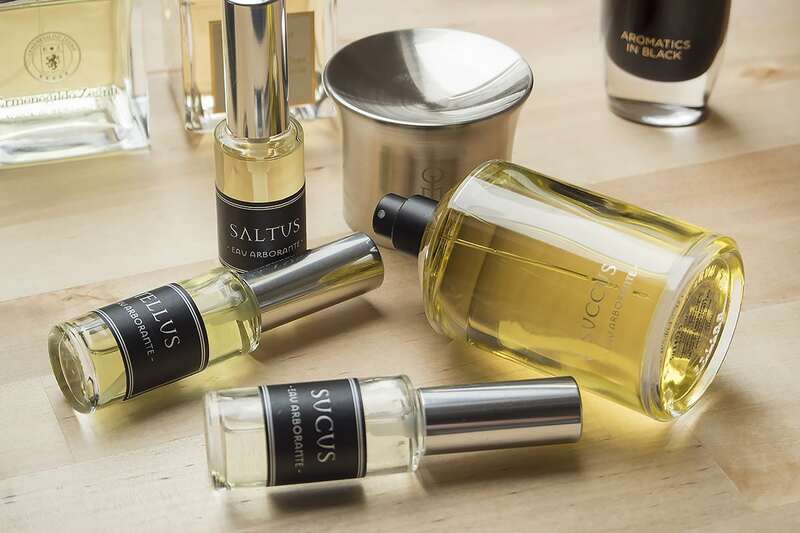 Succus, representing the treetops, is composed of a top of Italian mandarin, Grapefruit, Laurel, African rosemary, Juniper, Cedar leaves and Clary sage. The heart is Indonesian purple ginger, Clary sage essence, Black pepper essence and Orchid accord. Finally the base is Haitian vetiver essence, Texan cedarwood essence, Georgywood, Somalian incense and Moxalone. It starts off as a burst of mouth watering fruit and all those delicious top notes, but then almost immediately settles down into this velvety, mysterious heart supported by the gorgeous incense and woods. It’s seriously weird, in all the right ways! I never really liked the original and I honestly couldn’t tell you why; there’s nothing wrong, it just didn’t click with me and the moment I sampled the Forte variation, I didn’t like it either. 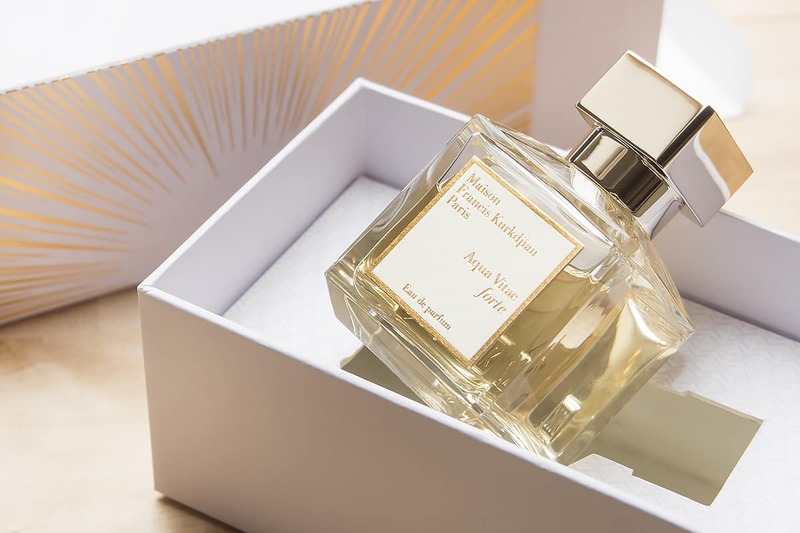 I find this with a few of Maison Francis Kurkdjian’s fragrances, I really don’t like them initially but then something happens to me and they become my absolute favourite and most cherished scents; this is the same with APOM and Amyris. I think if you’re just after a quick spray and a walk away, then this MFK isn’t your ticket (with the exception of Aqua Universalis *drools*); but if you’re after something that delivers a totally unique fragrance experience that will get everyone talking, you’re in the right place and Aqua Vitae Forte is leading the procession. In a similar fashion to Succus above, it starts with a fruity punch with Sicilian mandarin, Calabrian bergamot, lemon as well as pink pepper, orange blossom and Madagascan ylang-ylang. So it’s quite floral-fruity. But after a short while, the magic really starts to happen, as harpooning their way through is Indian mysore sandalwood, Sri Lankan ceylon cinnamon and haitian vetiver creating this creamy, and slightly sweet depth. This really is something you have to try and however I describe it will not do it justice. I will say this though: I wore this fragrance recently around a group of people. Someone walked in and commented “Oooh something in here smells nice!”, without thinking or missing a beat, I replied “Thanks!”; luckily I managed to laugh it off without sounding completely conceited but still… This is genuinely how confident Aqua Vitae Forte will leave you feeling! 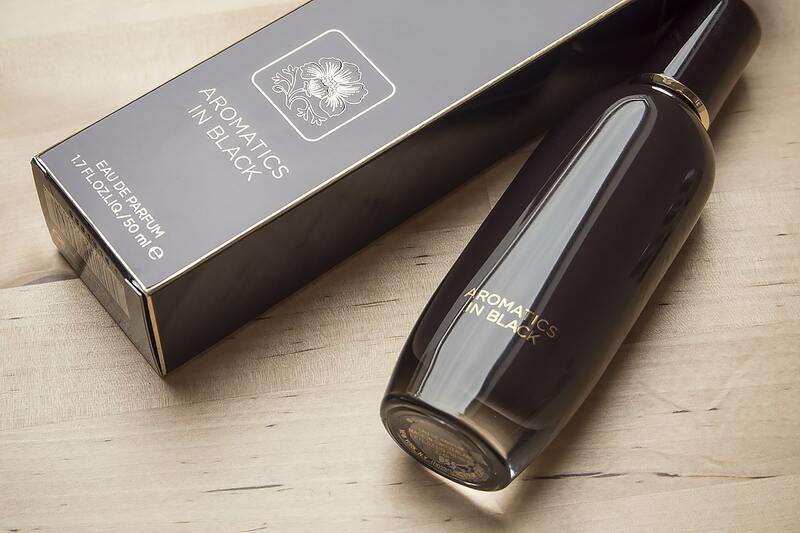 However, Aromatics In Black has redeemed the tarnished name of Aromatics and is absolutely, truly beautiful. A unisex masterpiece. Just listing the notes themselves should entice you with top notes of bergamot, wild black cherry and wild pepper; a heart of jasmine, sambac, rose and galbanum and finally a base of labdanum, cashmeran and amber. It’s mysterious, sweet (but by no means sickly) and warming yet somehow refreshing at the same time. I really think out of all 4, this captures the mood of Summer/Autumn to a T! Wasn’t a huge fan of the original fragrance launched by Zegna (produced for them by Aramis) but this has been a ma-hoosive surprise! 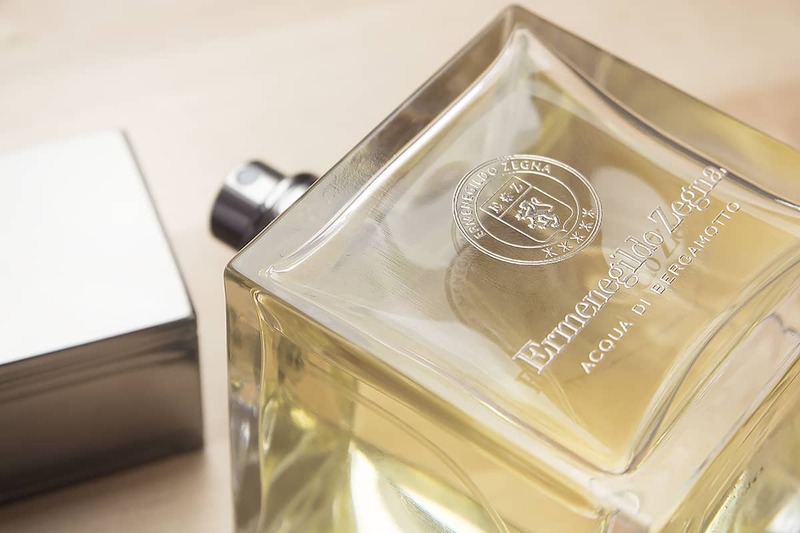 I love a cologne and Acqua di Bergamotto definitely brings something a little new to the table in a heavily saturated Citrus Italian Cologne market. What makes the difference is the Haitian vetyver which gives this fragrance (formulated with Italian Bergamot, rosemary, and neroli) a bit of a backside which many in this scent family lack. This is not a boy’s fragrance by any means, it’s designed for a clean-shaven man in a gorgeous Zegna business suit or out in the evening for cocktails and sophisticated play (so I clearly have no business wearing it down Yate’s with a £5 bottle of their house Rosé). A massive fan and has definitely pricked my attention to Zegna as it should you. Please give this a look! Also a great fragrance if you’re not 100% certain what someone likes as this would be very difficult not to be enjoyed. This article first appeared on MANFACE written by Thom Watson. It was published on Saturday 3rd October 2015 and was last updated on Monday 3rd April 2017 at 1:19pm. 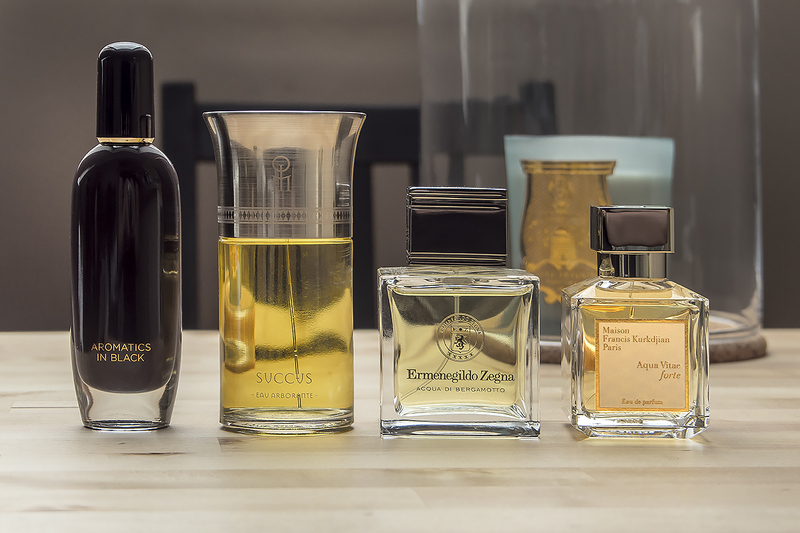 It's categorised under Clinique, Fragrance, Maison Francis Kurkdjian where you'll find more related content. The frequency, depth, and length of a child’s signs and the kid’s response to therapy fluctuate dramatically.